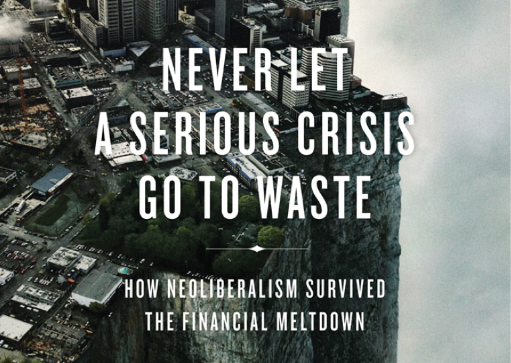 Philip Mirowski’s new tour de force of contemporary economic ideology, Never Let a Serious Crisis Go to Waste, is a blisteringly clear-sighted exposition of the central tenets of neoliberalism, and an impassioned polemic against those very same values. On BBC Radio 4's Thinking Allowed this week, Laurie Taylor talks to Mirowski about his analysis of why neoliberalism survived, and even prospered, in the aftermath of the financial meltdown of 2008. According to Taylor, one of the essential contributions of Mirowski’s analysis is that it ‘chronicles the genesis of neoliberal thought’ and demonstrates how we have all internalized its logic. "The way to fight neo-liberal ideology is that we have to change the idea of what markets do. … The left needs a different story about what markets do." Listen to Mirowski on Thinking Allowed here. Mirowski’s book becomes especially important when we think about other contexts in which ‘heterodox’ approaches to economics are starting to gain ground. In Manchester university, a ‘Post-crash economics society’ was recently set up, which is campaigning to have alternate models represented in university economics courses, apart from the neoclassical economic doctrine which is often the only trend of thought taught on these courses. "I have been informed of a (tenured) professor of economics at my own school, spring 2009, who was importuned bysome of his students to discuss the crisis that was then breaking out all around. After all, if you can’t examine and debate a current economic crisis in a macro class, then whenever should you expect to learn about it in a modern university? Yet the students were curtly informed that it wasn’t on the syllabus, and there was nothing about it in the assigned textbook, and the instructor therefore did not wish to diverge from the set lesson plan. And he didn’t (Never Let a Serious Crisis Go to Waste, p.159)." "Mirowski offers a thirteen-point definition (p.53ff. ), much of it counterintuitive, since there is a contradiction between the formal ideology and the actual practice of neoliberal politics. Neoliberals claim to want to shrink the state and to deregulate business, for example; in reality, says Mirowski, they want a different state, one with less democracy and fewer public services for sure, but one that is at the same time underwriting big business, turning citizens into customers, criminalising the poor, and smashing protest." They write that the book is ‘a contribution to understanding the enemy … It should be read as a clarion call to resistance’. "This book is not a blow-by-blow account of the financial crisis or of politics today. It is instead a fearless correction to much of existing social thought, a fusillade of provocation that alternates between witty, almost conversational, passages and erudite digressions on epistemology and political economy. If often barren of hope, Never Let a Serious Crisis Go to Waste is extraordinarily clever, piercing and learned, establishing Mirowski as the Thorstein Veblen of our day, a creative criticwith a highly perceptive, courageous pen dipped in idiosyncrasy and irony. Should neoliberalism ever be transcended, this work will be one of the resources that made it possible." 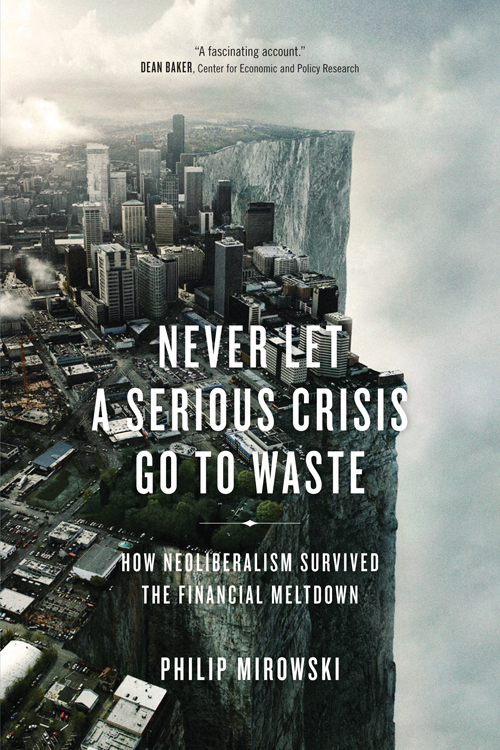 Never Let a Serious Crisis go to Waste: How Neoliberalism Survived the Financial Meltdown is now available to buy. Read our post-crash economics reading list here.